I was fortunate enough to begin my journey in the CEA industry with a job at an aquaponics facility in New York, and I wouldn’t change that experience for the world. I met and worked with some great people, and the operation opened my eyes to the world of aquaponics; a challenging world indeed. This post serves to inform others of the lessons I learned with my experience in aquaponics and give a few pointers on what to look out for when working with an aquaponics operation. 1. 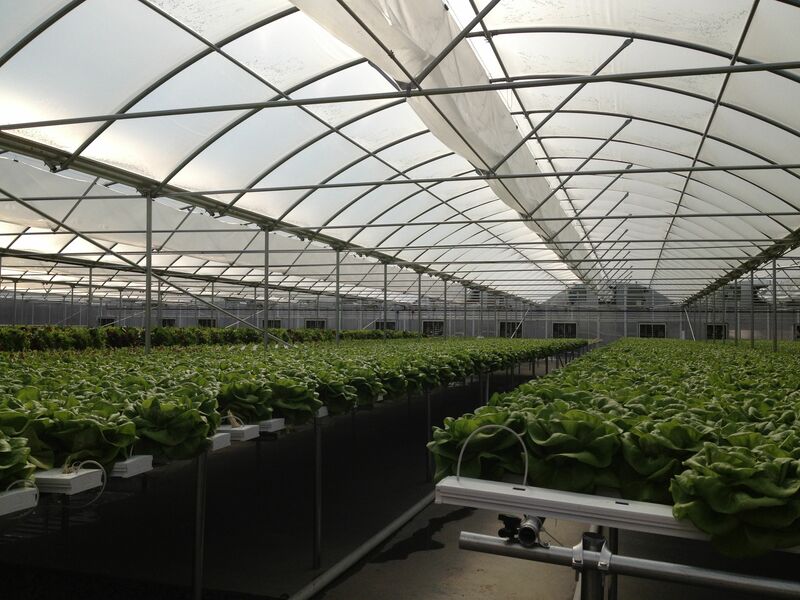 NFT with aquaponics may not be the best choice – A daily issue faced was system clogging. The main lines had to be purged multiple times throughout the day, and the feed tubes were always filled with fish waste. Every morning there were rows of plants that died over night due to clogging issues. 2. Managing pH can be a real challenge – ­This particular operation used A, B (fertilizers), and C (acid) barrels for nutrients and used the fish house water. The water would often come over at a pH around 8.0 and we would need to bring it down to at least 6.5. Lowering the pH to this degree involved a lot of acid which was expensive and hazardous to handle. 3. Foundation is key – The greenhouses were not constructed using an experienced greenhouse construction group, which led to massive structural problems within the first couple years of operation; the same can be said about the structure of the organization. The leader of any aquaponics operation must have a massive amount of experience and curiosity. 4. Know what you don’t know (or at least do your best) – It is important to understand how complex aquaponics can get. As you scale, all of your micro problems become macro problems. Perfect your methods before you begin expanding your operation. One leading factor that took down this particular aquaponics facility was the need to keep up with the banks/grants schedule on expansion instead of working on perfecting their growing methods and sales strategies. 5. Always have the end in mind – With agriculture in general, it is very important to always have the end in mind, and think about how to make the organization profitable. Whether that means knowing what you plan to do with the fish once they are mature (including all the steps and certifications) or knowing exactly who will buy every head of lettuce you produce; you don’t want to end up with heads of lettuce up to your neck in the compost pile. Beware of the simplification of aquaponics. Yes, we all love the infographs that show the closed loop but unless you are planning a small backyard setup, there will be a lot of advanced biology & chemistry to understand before moving forward.